Those of you who read my French Fry Diary blog already know about this, but it's still cool. 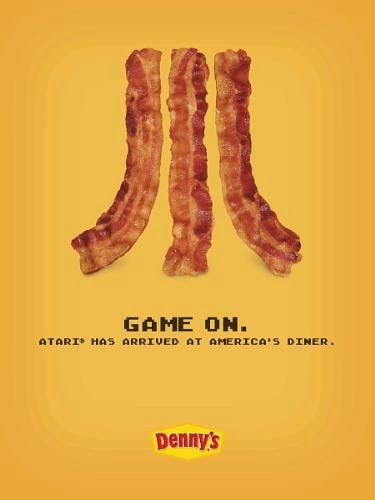 Denny's has joined with Atari to update some of their retro videogames to match their menu. 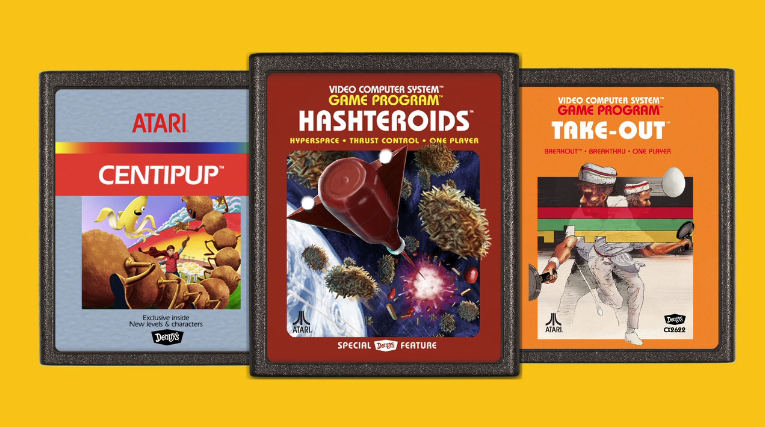 They've turned Asteroids into Hashteroids, Centipede into Centipup, and Breakout into Take-Out. This "Greatest Hits Remixed" campaign includes apps on both the iPhone and the iPad as well. The games are just as fun as the originals, just with new fun graphics. Check them out. And you can read my original blog post at FFD here, and the original announcement here.